Relocating to southwest Ohio? You will find that the Dayton area offers a wide variety of real estate and home options. From hip urban lofts and gorgeous historic homes and neighborhoods, to vibrant suburbs and quiet subdivisions; golf and gated communities, rural working farms and small gentleman farms; city life and small town life, whatever your dream home is, we can find it in the Greater Dayton area. Dayton’s active historic neighborhoods are where you’ll find homes built in the late 1800’s and early 1900’s. Vintage Cape Cods or Bungalows and Mid Century Modern homes can be found in our older suburbs. Newer homes in Dayton are modern loft condos and stately custom-built luxury homes. Active and productive farms- both historic and new are within a 20 minute commute to downtown Dayton or WPAFB. The Dayton region is famous for our short commute times and relatively easy drives to 80% of the population of the U.S. Cincinnati and Columbus are both about an one hour, and Indianapolis is about two hours, giving Daytonians easy access to such family friendly attractions as zoos, museums, amusement parks, and professional sports teams. But you don’t have to drive far to find something to do in Dayton. The city has an extensive parks and recreation system, the Dayton Art Institute, Dayton Dragons baseball, Benjamin and Marian Schuster Performing Arts Center, the Victoria Theatre, and the Loft showcase our thriving arts community with the Dayton Philharmonic Orchestra, the Dayton Opera, and Dayton Ballet. Let’s not forget shopping. Dayton retail experiences include a variety of large and impressive malls, of course, but there are treasures in boutiques in the Oregon District, antiquing in small surrounding towns like Tipp City, Fairborn, and Waynesville, and a farmer’s markets that operate throughout the area. Dayton has recreational facilities like golf courses, kayaking, tennis courts, hiking, sports clubs, fitness centers in easy access to most areas. Dayton’s unique and storied history, our moderate climate, and our wide variety of life, work, and play opportunities create a great place to call home.  Call Theresa Lussier, THE HOME GROUP REALTY, 937-478-7781 to find your Dayton dream home.